Have you noticed that, now games are developed in public, their patch names consist only of endless decimals – the sort traditionally reserved for internal studio consumption or Pi? On an unrelated note, DayZ Hotfix 1.7.2.5 has been released for bugtesting. The update’s changelog lists fixes to graphical glitches featuring both barbed wire and dead bodies, as well as an issue with ammunition amounts failing to load properly and a missing respawn button for players with in-game fractured legs. 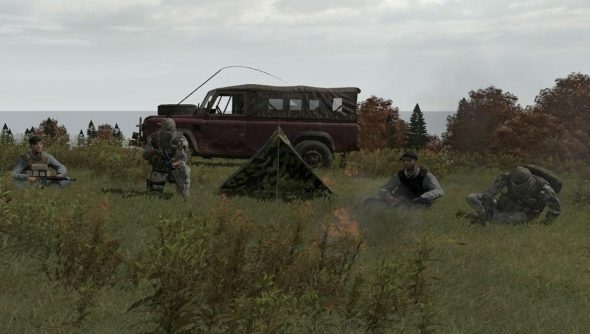 “SixUpdater will only host the update once we have confirmed we are satisfied with the update,” warned DayZ creator and project lead of its standalone edition Dean ‘Rocket’ Hall.